Case with Classic Japanese knives. Deba: cutting edge on one side kitchen cleaver type, blade 16,5 cm. Nakiri: double cutting edge for vegetables, blade 17,5 cm. Santoku: double cutting edge for vegetables, meat, fish, blade 17,5 cm. Yanagiba or Sashimi: cutting edge on one side to slice sashimi or cut fish in fillets, blade 21 cm. Pankiri:serrated knife, blade 22 cm. Gyuto: perfect to prepare Sushi. Excellent to cut all types of fish, but also meat and vegetables. 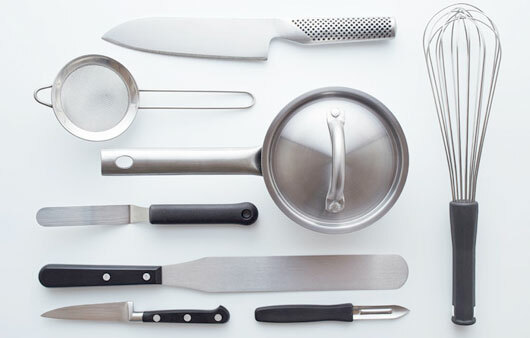 Oriental shape, but to be considered as the classic European cook-kitchen knife. Magnolia wood handle, Japanese steel SUS 420J2, very sharp edge. 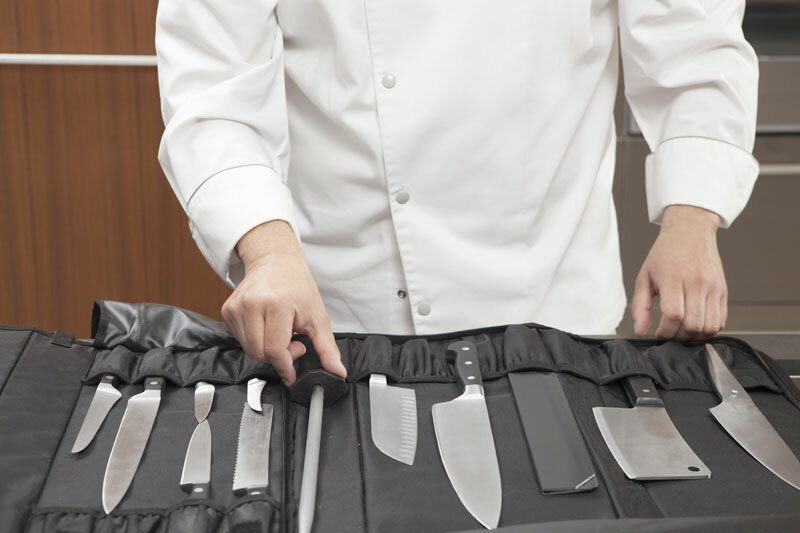 Zwilling washable case fit for 11 knives.